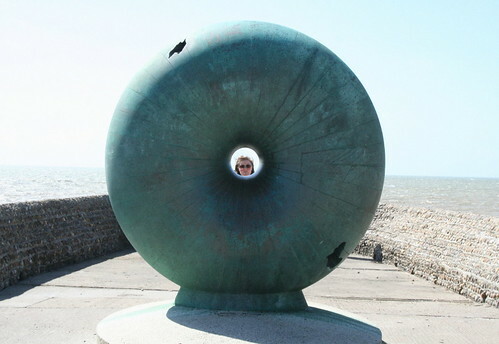 Wowzers… I’m pleased to say that a photo I took whilst in Brighton of the “giant doughnut” (locally know as The Seasick Doughnut) down on the sea front has been chosen to represent the landmark in Schmap’s online guide to Brigthon. The sculpture was a gift from the Mayor of Naples, officially called The Big Green Bagel. In this particluar photo you can just make out Badja’s face in the centre. Schmap is an online resource of worldwide guides.